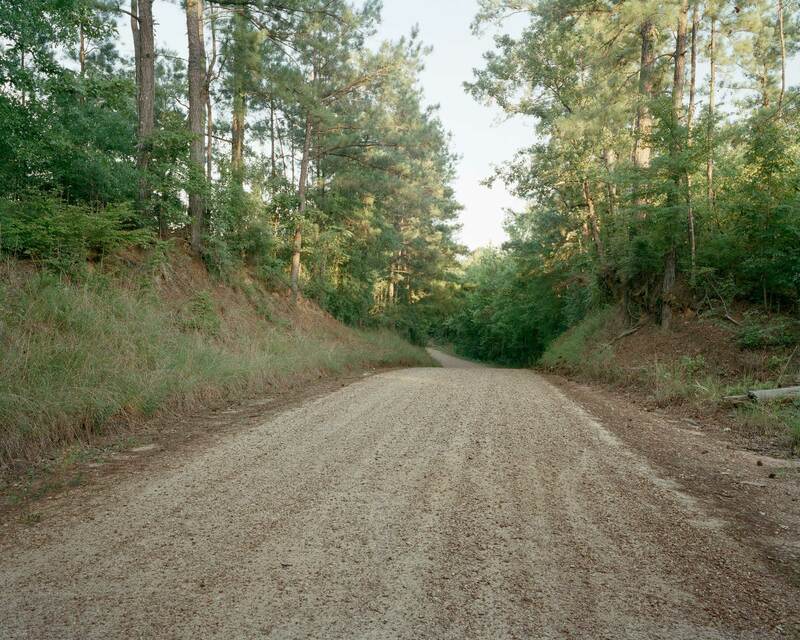 Poorhouse Road, Woodville, Mississippi, 2007 On February 28, 1964, twenty-seven-year-old Clifton Walker, a husband and father of five children, was killed by suspected Klansmen on Poorhouse Road. Walker worked at International Paper in Natchez. The company was a known Klan recruiting ground and had many Klan-affiliated employees; the men involved in Ben Chester White’s murders also worked there. Walker’s murder occurred two weeks after the White Knights of the Ku Klux Klan organized themselves as a secret racist militant organization dedicated to fighting the advancement of civil rights in nearby Brookhaven under the direction of Imperial Wizard Samuel Bowers, who was convicted for the 1964 triple murder of James Chaney, Andrew Goodman, and Michael Schwerner and the 1966 murder of Vernon Dahmer. The Clifton Walker case was investigated in 1964, and several suspects were named, but no one was ever charged. The case was reopened by the FBI in 2009 as part of the federal Cold Case Initiative but was closed with no new action in 2014.